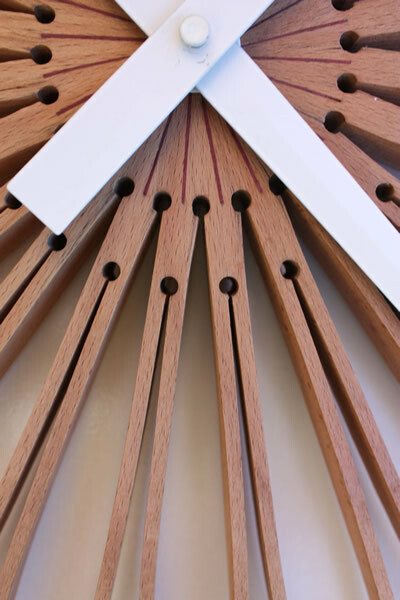 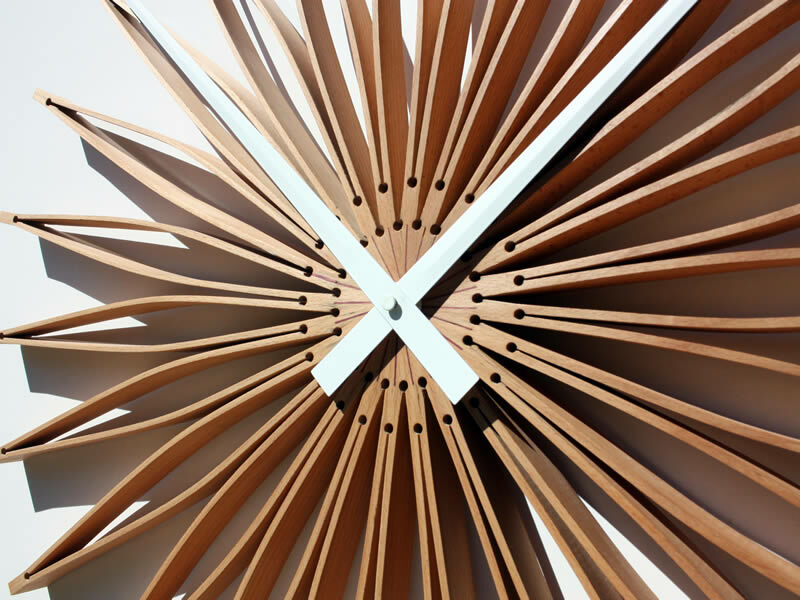 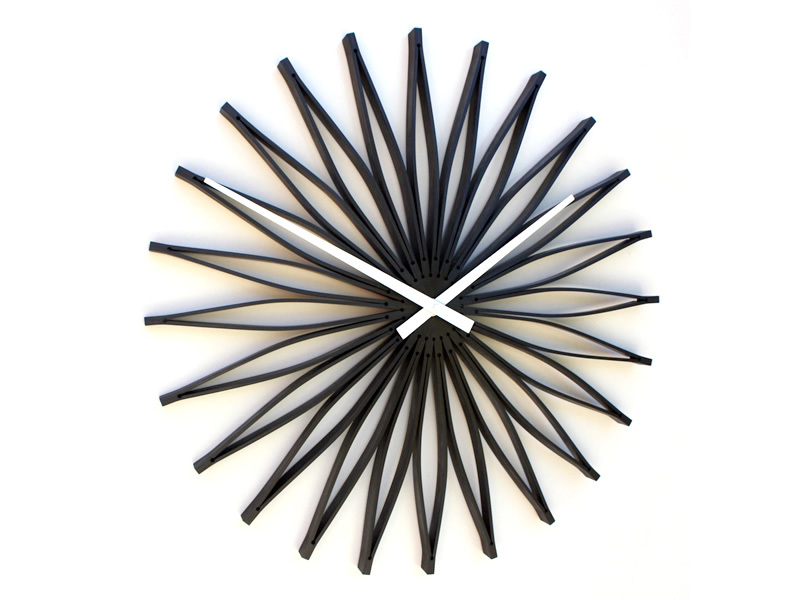 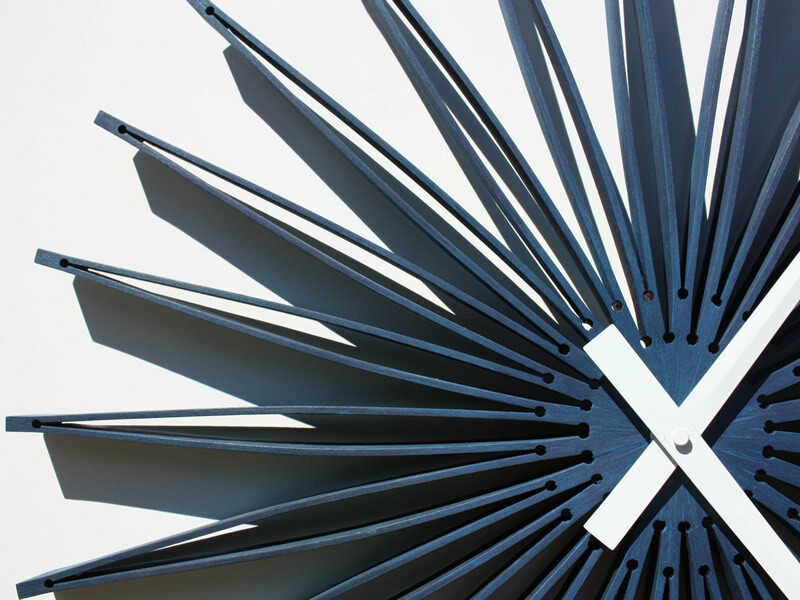 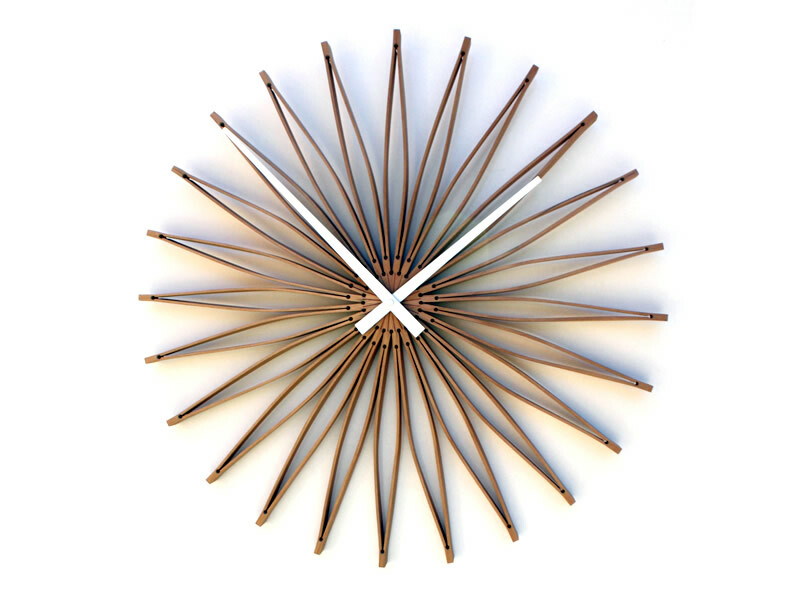 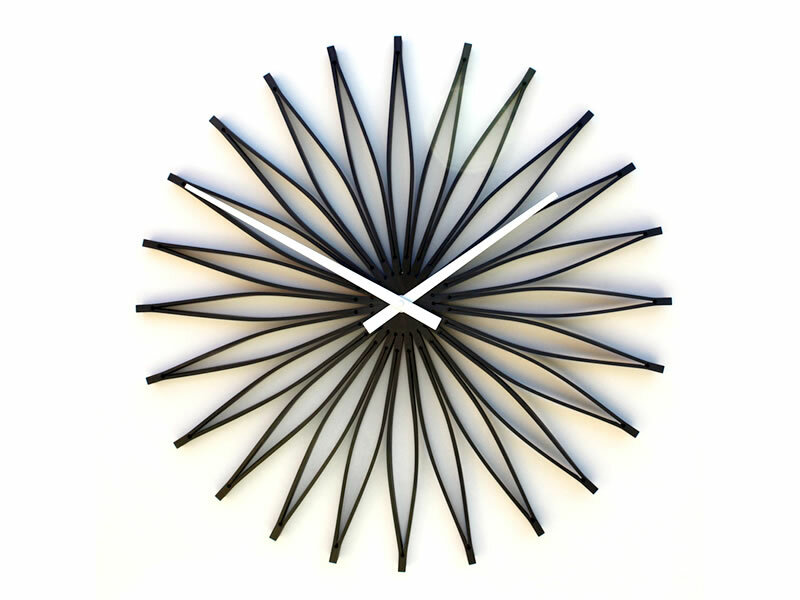 The Solaris clock is produced from a single piece of solid timber. 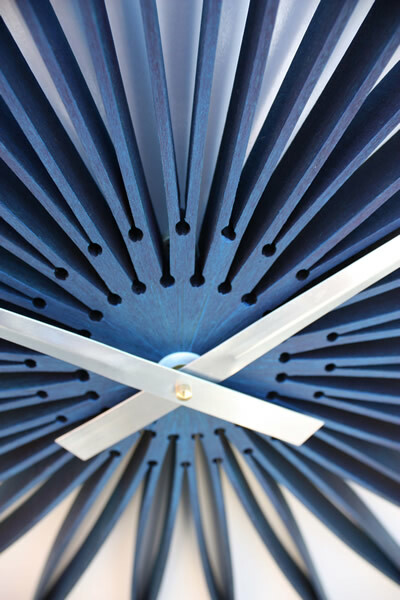 The timber is machined and steam-bent into a 360 degree array and once joined, the closed loop retains its form and offers a stunning visual, capitalising on the natural beauty of the material, Solaris makes a bold statement in any domestic or commercial environment. 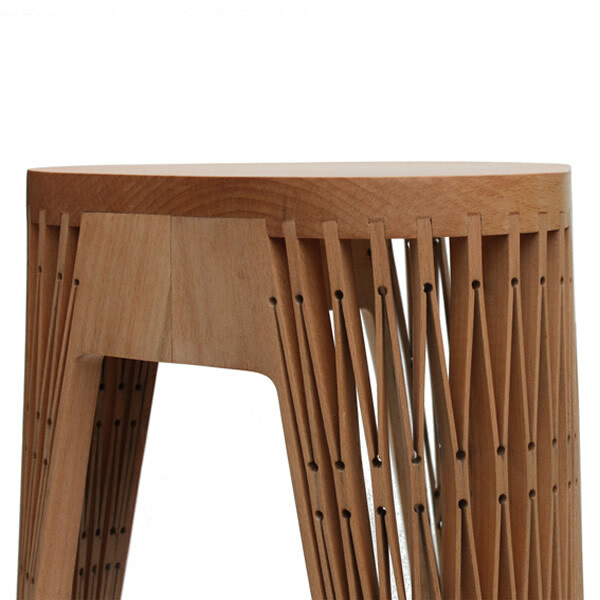 Available in: 700mm, 850mm and 1000mm diameter. 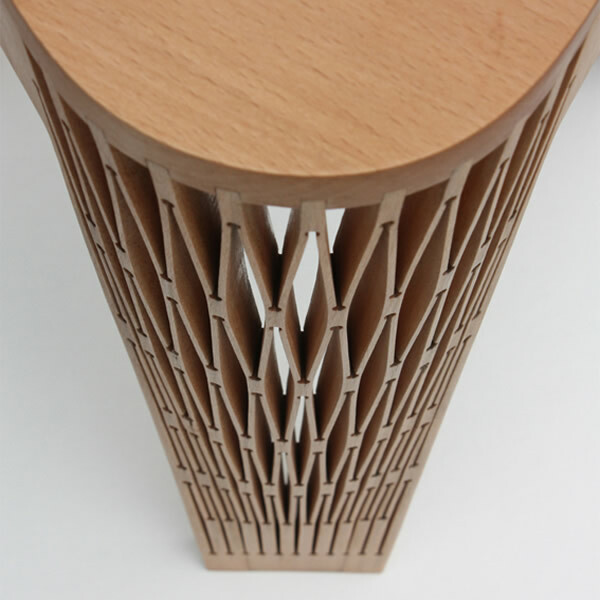 The Tryst stool capitalises on the elegance and strength of timber to achieve a delicate yet durable product that marries the conveniences of modern machining and traditional wood craft. 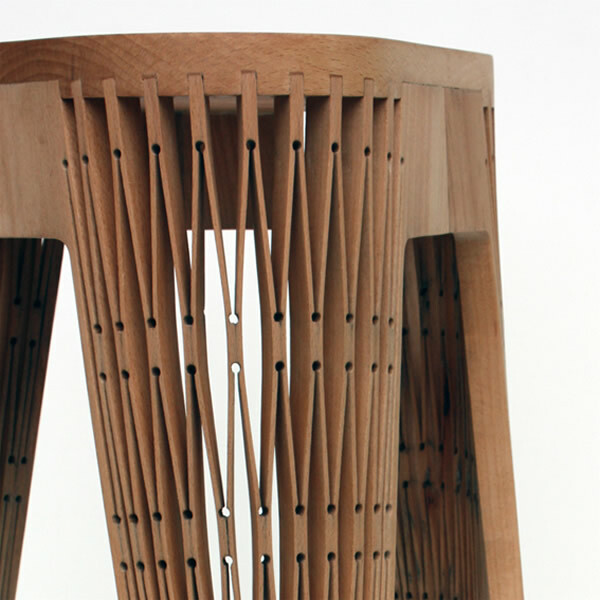 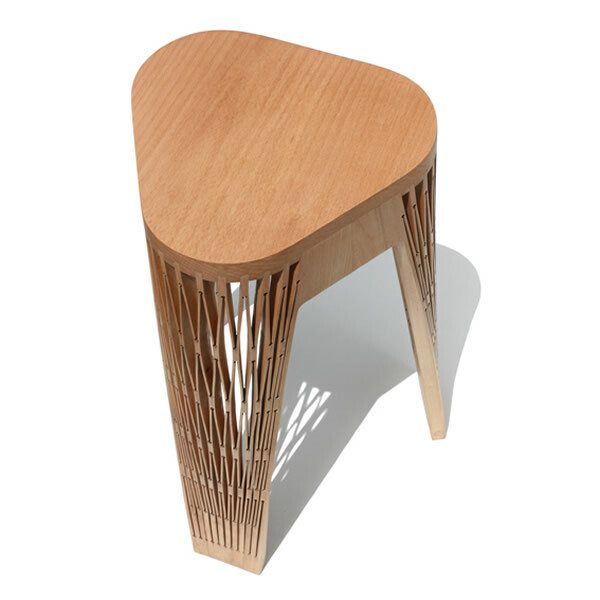 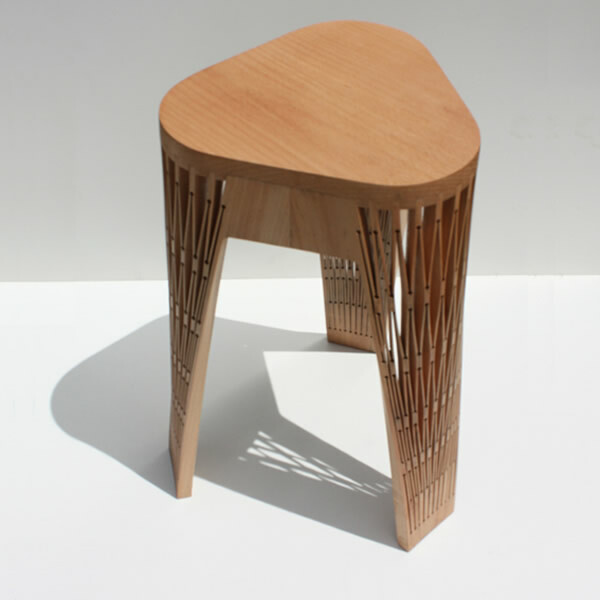 The bespoke Tryst stool offers an allure that is reminiscent of traditional hand-crafted timber furniture. 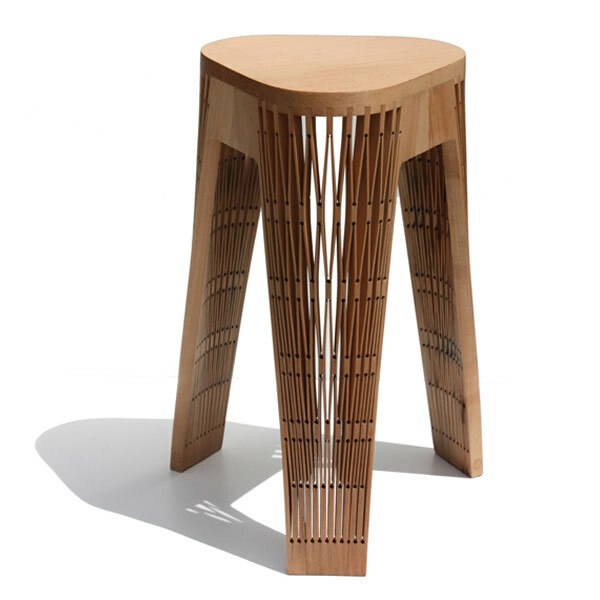 Utilising the pattern that allows the form to be created as the primary aesthetic detail, the Tryst stool is an honest reflection of allowing the stretched timber process to dictate the form, offering beauty and intrigue to any setting, Tryst is an elegant addition to any home.